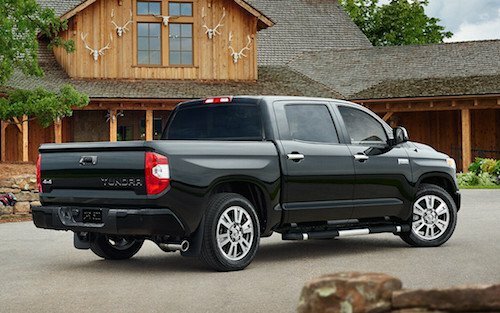 f you are ready to upgrade to a sturdy new truck, consider the Toyota Tundra near Concord, NH. With plenty of horsepower, convenient features, abundant cargo space and rugged good looks the Tundra is one of the best trucks on the market. See our entire truck inventory online and compare MSRP, trim options and vehicle details. Expert auto financing is available in our Toyota finance center. We will explain all of the options for buying or leasing a new or used Tundra. Our Toyota experts can also help you find current dealer specials and factory incentives to make sure you get our very best price and the lowest monthly payments. Our team is here to answer your questions and let you test drive a Toyota Tundra near Concord, New Hampshire. So why not stop by and say hello?